*One hole installation, round outlet pipe with high arc shape, clavate handle. *Water pipe can be rotated 360 ° for Double bowls kitchen sinks. 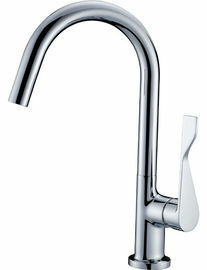 Kitchen sink faucets, Kitchen tap faucets, home faucet, household faucet,One hole kitchen faucets etc.